No matter how sleek a smartphone looks, a website that does not have a 100% responsive mobile design will never look good on it. Give your customers a friendly and much better experience than that. At Authority Solutions™, we design great websites that your mobile audience will absolutely love! Statistics show that there has been a substantial increase in the number of people using their mobile tablets when searching the web compared to the number of those who use their desktops. Today, consumers research, shop and purchase products online using their smartphones, and this dependence is only growing bigger and bigger by the minute. After all, we are in the age where most, if not all, people carry a mobile gadget, wherever they go, whatever they do. What does this mean and how can you take advantage of this new trend? Simple! A 100% Responsive Mobile Web Design is the answer! Companies are now into developing a 100% responsive web design that can make their sites easily accessible by their clients and potential customers using mobile gadgets. Responsive mobile website design is an approach to a more user-friendly web development. A professional designer creates dynamic variations to a website’s appearance to respond accordingly when viewed on a mobile device. Since the viewport of most mobile devices is narrower, the goal of a 100% responsive mobile web design is to restructure a website’s features. Using flexible fluid grids, the site’s content and elements automatically resize depending on the dimensions of the display. This simply means that the web visitors are not frustrated when viewing your site on their phones. Authority Solutions™ provides 100% responsive mobile web design services to help you achieve your goal of targeting your mobile audience and building a strong online brand. Smartphones have continuously evolved, mobile OS versions are regularly released, app stores are offering more and more mobile applications, and Internet connection speed has never been faster. All these factors caused a 180-degree turn on the way consumers maximize the use of their mobile gadgets. When building a website, developers and designers create a great design template suitable for widescreen devices like a desktop but fail to consider how the site will be when opened on a mobile device with a much smaller and narrower display. This will cause so much hassle to mobile users when navigating through the site and reading content. A shrunken version of a website, when viewed on phones, will most likely result in a decline in search engine ranking. Of course, you do not want to risk being at the bottom again, or worst on the last page of the search results! Also, if your website is difficult to use on mobile gadgets, customers will most likely be disappointed, simply leave your site and search for something else that will provide them optimal user experience.  Lower search engine ranking plus a smaller number of clients equal a decrease in ROI. Do not wait for all of these to happen to your investment! Make your website 100% responsive. Be at the top of search engines, give your customers the best user-friendly experience possible when navigating your website, and increase your conversion rate. With millions of people relying on their mobile gadgets in browsing the web, it has become very essential to create a website that is accessible from even the smallest smartphones. To remain on top of the game, you must invest in a 100% responsive mobile web design. You need the help of professional web designers to create more than just good templates. 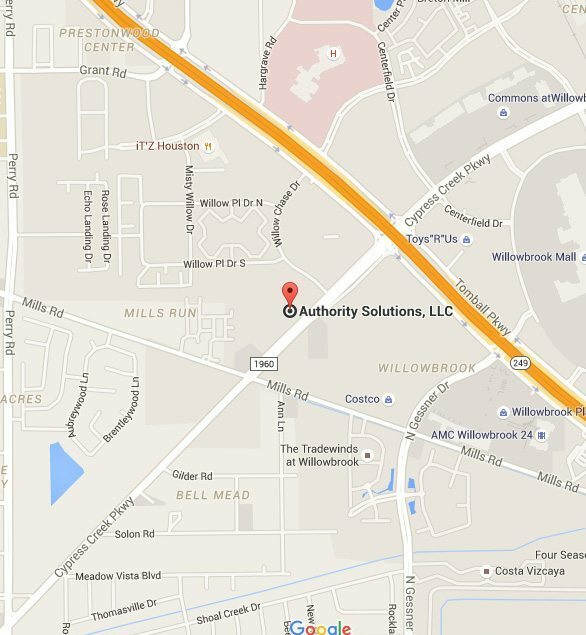 You need the expertise of the Authority Solutions™ team to make your website No. 1 in mobile search rankings and the No. 1 service and product provider in your niche and in your local area. Consumers must be able to easily find and access your website’s information from their mobile device. At Authority Solutions™, our responsive mobile web design templates and services will help you stay ahead of the trend. We will help you reach this mobile audience by giving them an amazing experience when browsing your products and services. Authority Solutions™ is capable of making your mobile web design as profitable to your company as possible through the following essential points. Your main goal in using 100% Responsive Mobile Web Design should always be to make your clients happy and achieve customer satisfaction. When customers are browsing your website using a mobile phone, they should be able to view and access everything, from its content to images to other features, as easily as those using their wide-screen devices. With our expertise in creating web design templates, Authority Solutions™ can help you create a responsive mobile web design template that offers the best to your web visitors. With better user experience comes improved brand recognition, increased sales conversion, and reduced bounce rates. From an SEO standpoint, having a separate mobile version of your site could be very challenging since you also have to establish this site’s authority in search engines. More often than not, these sites do not get a spot in the rankings. Think of the benefits of managing a single website. But worry no more! Authority Solutions™ is America’s top SEO and Internet Marketing Company that offers a wide range of solutions and strategies to make your site mobile-friendly. It is time to build your online brand on the first page of search platforms. Our skilled web designers and SEO experts will help you achieve this by creating a responsive mobile web design and expanding your reach through proven and tested strategies. The marketers do what Google says! The search engine giant always recommends responsive web design for sites to achieve better rankings in search engines, but now there are still a number of companies (smaller ones) which are not yet mobile-ready. Remember this, a site that provides effective mobile user experience will show up on results above those that do not. Our team at Authority Solutions™ will provide you with mobile web design services that will put you on the first page of search engines and improve your ranking. It is confirmed that mobile searches have outmatched searches done using desktops. If your website is not responsive and is difficult to navigate using other smartphones, you are most likely to lose a big percentage of your web visitors. However, if your customers are satisfied when interacting with your site, a higher percentage will most likely convert. This simply means that the chance of increasing sales and conversions is significantly higher when your site is able to provide the excellent and consistent user experience. Authority Solutions™ understands that you are aiming to target more customers. With that in mind, our responsive mobile web design services could help you increase sales through meeting your customers wherever they are. The staggering rise in the use of mobile gadgets is just the start of a substantial movement in the industry. Smart watches and other high-tech wearables have become very popular in the market today. This made it very important for you to be updated and aware of the new trend. Make sure that your site can be viewed anywhere they are and in any device they are using. In recent years, Google has been rolling out some changes in its algorithms and this new set of rules now incorporates a website’s mobile friendliness as a ranking factor. And for your website to keep hold of the spot on the first page of search results, you must adhere to these algorithms and ensure that you will not be left out when it comes to making your site accessible to mobile users. With the shifting technology trends, you have to adapt to many changes in order to keep up with the way the industry is moving and be a step ahead of your competitors. The SEO and web design experts at Authority Solutions™ are capable of creating a responsive mobile web design for your business that will not only make your site be accessible to mobile gadgets, but one that will also play a significant role in improving your rankings, establishing your online brand, and increasing sales and conversion rates. Competition is fierce in virtually every industry, which is why responsive mobile web designing is the key to improving your business online. 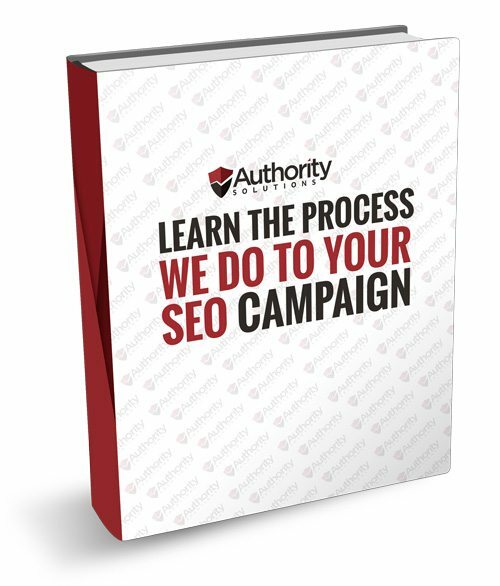 It is time to hire the services of leading SEO experts and professional web designers at Authority Solutions™. Contact us today at (888) 997-4146, and get the solutions and results that only a top SEO company can deliver.